Novel drug delivery technologies strive to bypass challenging biological layers to elicit desired pharmacological activity. The skin, one of our key defensive barriers, allows certain topically applied substancesaand toxins to pass. The dermatokinetics of a drug determines the efficacy of treatment of skin disorders. Presenting the first comprehensive reference on this important area of research, Dermatokinetics of Therapeutic Agents includes a general overview of the theoretical as well as practical aspects of dermatokinetics and addresses the impact of a drug delivery system on the dermatokinetics of drugs. 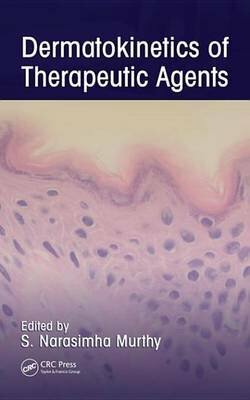 Chapters and illustrations cover introductory aspects and theasignificance, methods, and models used in dermatokinetic studies of therapeutic agents.